It therefore offers ready access to the Underground, Thameslink and future Crossrail stations, making it highly accessible to the West End, City and further afield. 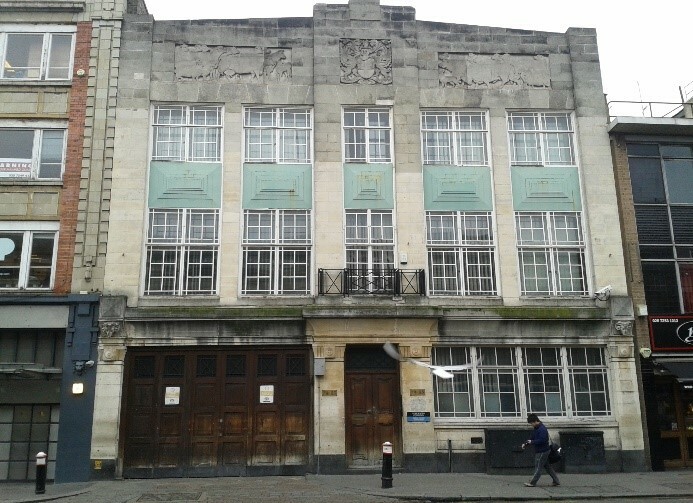 The Grade II Listed former Market Meat Inspectors’ Office built in the late 1920s with Art Deco façade and internal features. There is an established office use throughout and a tenant is sought to undertake a sympathetic refurbishment of this historic building to create unique offices. There is also potential to add a third floor (c.1,000 sq ft) subject to planning. A new lease is offered for a term by arrangement, on the basis of the ingoing tenant undertaking an agreed programme of works. A market rent is to be negotiated on a refurbished basis.